As you may have noticed, I have not written a post in several weeks (actually a few months). While life always has other distractions (like work), this time my biggest reason for not writing was my son's Bar Mitzva - both the preparation for it and recovery from it took up a lot of time. It was a wonderful event and we're very proud of him. And so in honor of the occasion, I thought I'd discuss the phrase a bit. Since bar בר means "son" (primarily in Aramaic, but also in Hebrew, see Mishlei 31:2), and mitzva מצוה is generally translated as "commandment", a popular translation for bar mitzvah בר מצוה is "son of the commandment(s)", which would be understood as "a son, a boy, to whom the mitzvot apply (since he reached the age of 13)." However, that translation isn't actually the best one. Bar, as well as ben בן (the more common Hebrew term for "son"), is a prefix found in many phrases with a meaning that is hard to pin down, but includes such senses as "belonging to", "worthy of", "capable of" and the one most relevant to us, "obligated in". While in many cases mitzva can refer to an individual commandment, there are many times in the Torah where it refers to the Law as a whole, and actually is a synonym for the word "Torah". See for example Devarim 5:28 and 6:25. where we find the phrase כל המצוה. Some translations aren't consistent here, such as the Living Torah , who translates the phrase in the first verse as "all the rules" (despite the fact that it says "hamitzva" and not the plural "hamitzvot") and in the second as "the entire mandate". 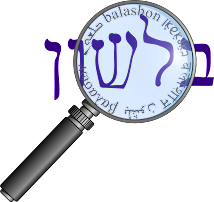 The JPS, however, uses the word "Instruction" throughout, noting that while the word mitzva literally means "commandment", here it refers to the entire legal corpus. In his JPS commentary on Devarim 4:1, where the additional synonyms חוקים ומשפטים chukim and mishpatim - "laws and rules" are found, Tigay explains them as well as edot עדות and mitzva. He then writes, regarding all these terms, that the Torah "employs the terms without distinction, just as English uses phrases like 'rules and regulations' and 'laws and ordinances'." Only late in the Medieval period do we find bar mitzva refer to the boy who has turned 13. But the phrase always refers to the person himself - "he is a bar mitzva". I don't know when it first began to refer to the event or the celebration, but I suspect it is a Yiddishism.